Lately, I've noticed that there is one handbag that tends to sell out in mere moments. What's interesting about this particular piece is that it isn't a new style for the season or something we see all over Instagram. 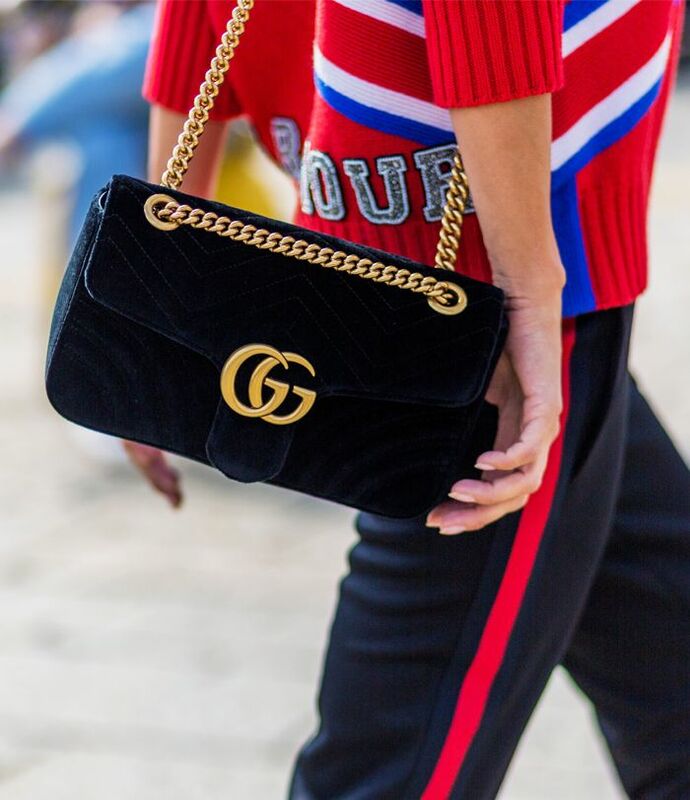 The purse in question is Gucci's velvet quilted Marmont bag, which is available in a rainbow of colours—from petrol blue to red to pink and more. The velvet crossbody bags launched back in 2016 but have gained serious momentum in the past two years. Even now, a restock of the style still causes a shopping frenzy. For example, Net-a-Porter introduced the green version last week, and it sold out just hours later. Keep scrolling to shop our edit of the best Gucci velvet Marmont bags that are currently in stock. The red makes this bag look even more expensive. This rich blue colour is timeless. This is one of the most popular colours. This makes us think of those luxe pink velvet sofas. Green isn't a conventional handbag colour, but we're into it. So, are you ready to shop now before time runs out?